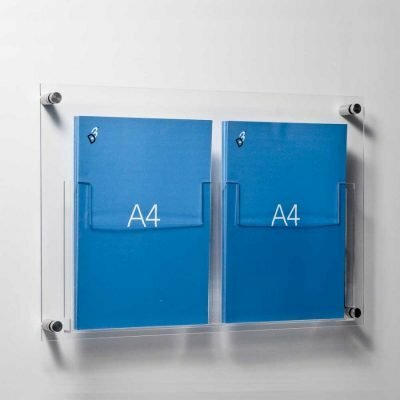 Double or Triple A5 leaflet holders. Made from 3mm clear perspex. 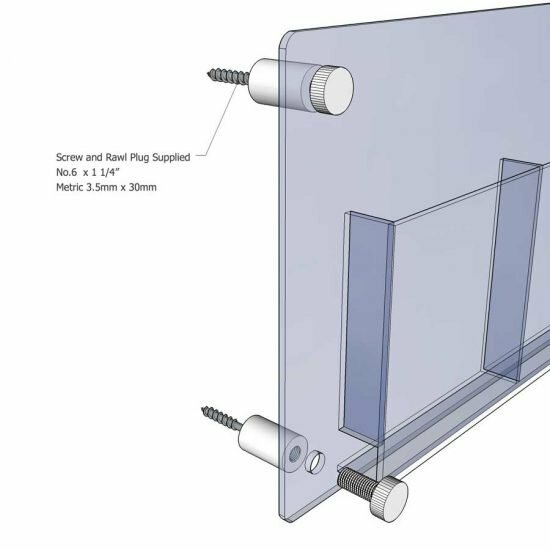 Wall fixed with stand off fixings. Brochure pockets are 20mm deep. 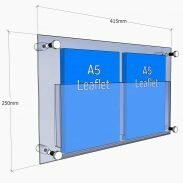 Order 2 - 4 units and receive a 5% discount. 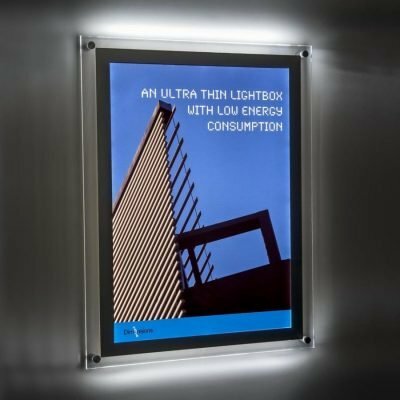 Order 5 - 9 units and receive a 10% discount. 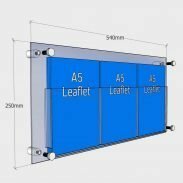 Order 10+ units and receive a 12.5% discount. 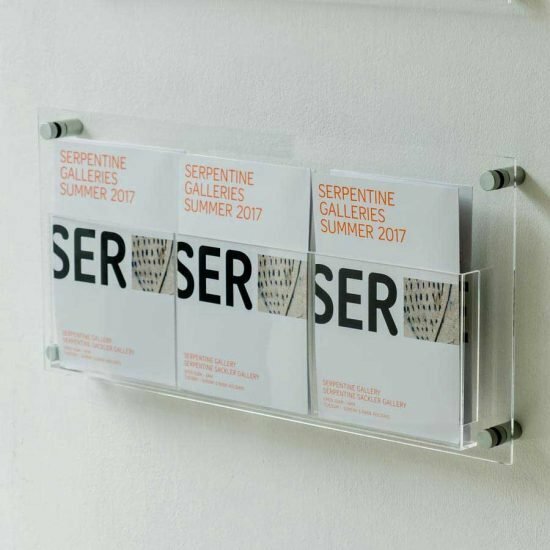 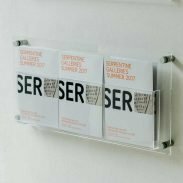 Wall mounted A5 leaflet holders are a stylish & practical way to display brochures on your walls. 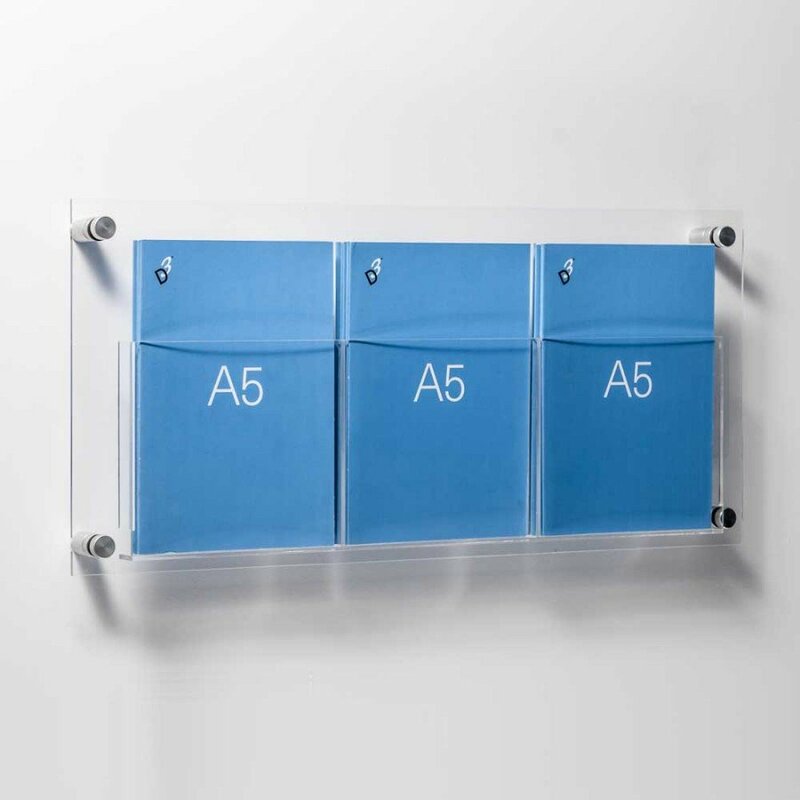 Choose the one that best suits the size and amount of literature to be displayed. The A5 leaflet holders are made from 3mm high impact clear acrylic. 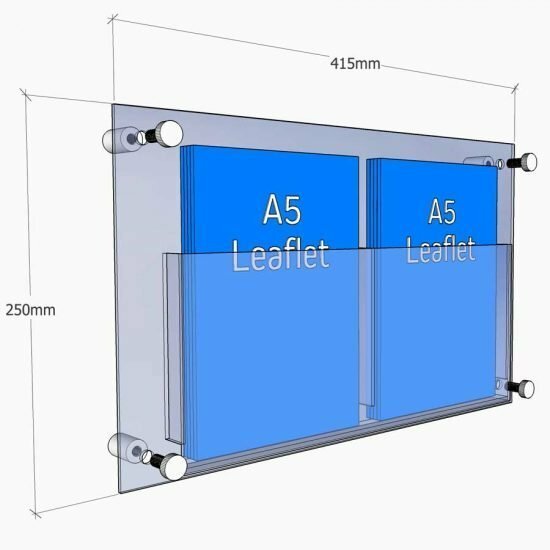 Both A5 models have 20mm deep acrylic pockets. It’s fixed to the wall with our standoff fixing. 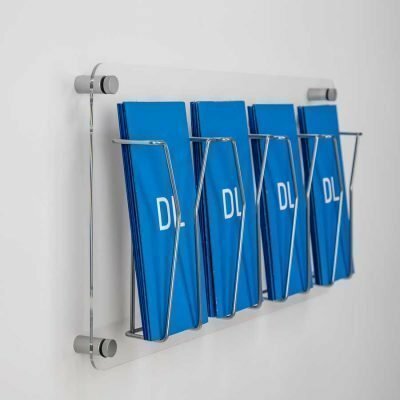 A4 and DL brochure holders are also available. 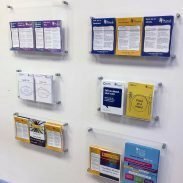 Useful if you need dispense other sizes of brochures and want a consistent look. 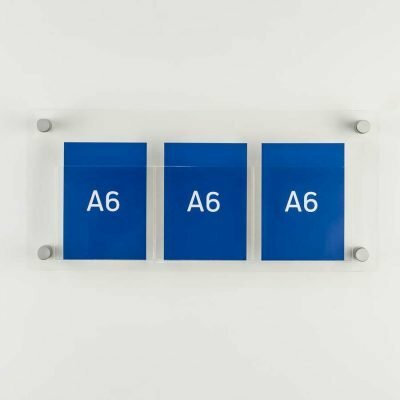 They are an elegant display solution for public areas and marketing suites. 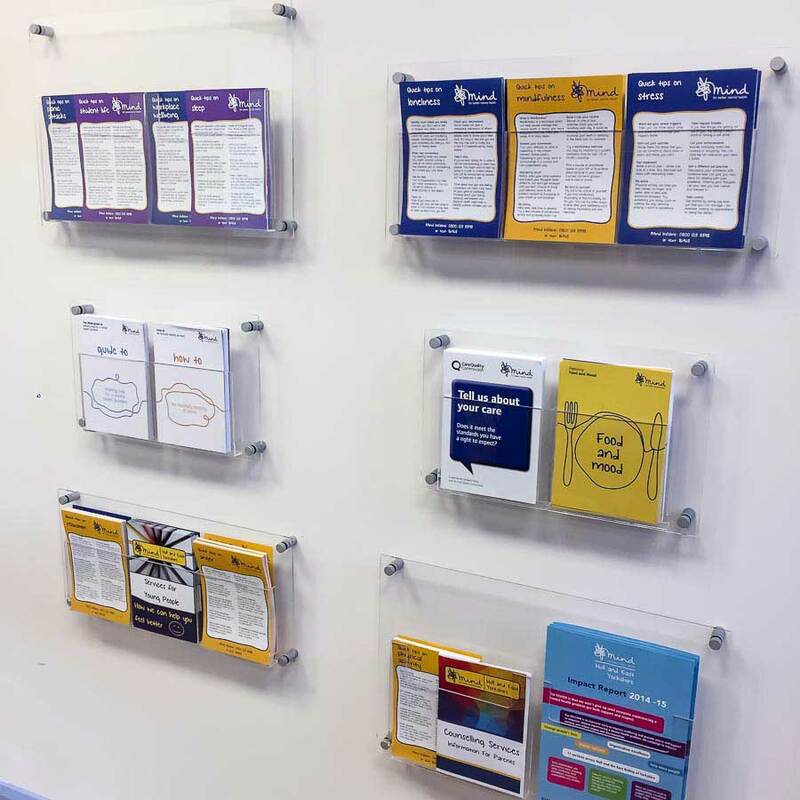 Display A5 literature on the wall in your office foyer or exhibition stand. 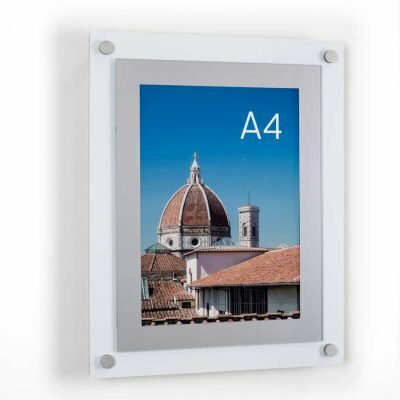 Ideal for showrooms, retail outlets, reception areas and waiting rooms. 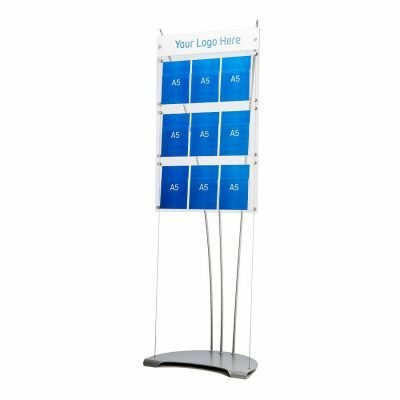 Matches the D3 Display floor standing leaflet holders for a consistent look. Designed for displaying flyers, catalogues, brochures and other types of printed promotional literature. 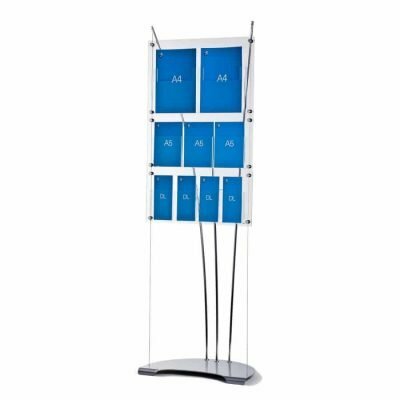 It’s ideal for displaying company brochures on large exhibition stands or in marketing suites. 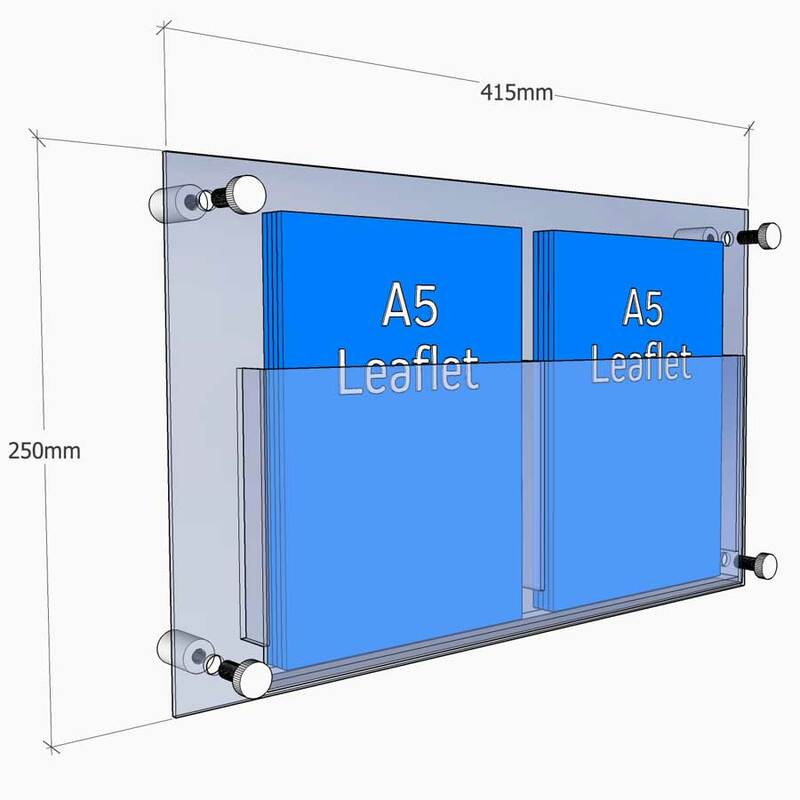 A5 leaflet holders are usually in stock for next day delivery. 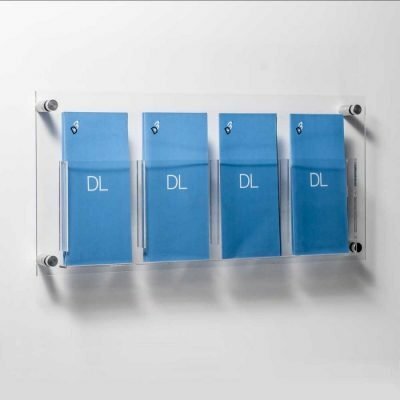 Most orders can be dispatched on either a next day or economy service.